I’m an outdoor enthusiast. I’ll admit it. 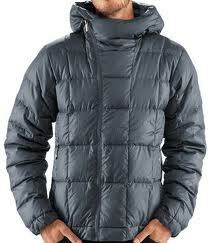 But during no other of my gear-purchasing binges have I come across a coat I’d buy just to wear in the city as well. Achieving the rare feat of both urban style and technical performance, the Nau men’s 850-fill down hoody jacket 012M01 is a fresh change of pace from most products at your local REI. First, this stylish down hoody needs to provide what any down coat must: warmth. And with 850-fill down, it does so effortlessly—even in temps below freezing. 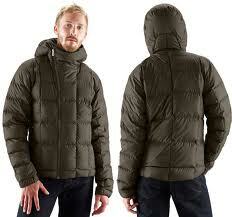 And like down is known for, this jacket is ultra light and packable. Occasionally, I’ve put it on for the initial outdoor chill only to discover it’s too warm moving around a lot. When take it off, the 18 oz. hoody compresses down to the size of a football in my pack. Secondly, so much thought has been put into subtle style like the offset zipper and narrow cut, I find myself reaching for it on nights out in the city. The high-loft warmth is perfect for cozy urban ambling and the DWR rain repellent treatment has kept the water out during rainy walks. For prolonged exposure to downpour, though, I’d still opt for waterproof gear since any down product becomes ineffective when wet. Lastly, this jacket doesn’t just love to be used outdoors—it loves the outdoors. Nau has put the environment first and created the exterior fabric and lining with 100% recycled polyester, which is sourced in Japan and produced in China. The company also offers a 2% donation of your purchase to an environmental, social, or humanitarian partner of your choice. This jacket is stylish and great for versatile wear. The 850-fill down is quite warm. The DWR treatment repels water perfectly for short periods of exposure. It’s light-weight, packable, and even has a helmet-sized hood. Down has occasionally poked out the seam. Slightly less durable than high-end outdoor gear. This hoody comes in three dark and earthy tones of caviar (black), spruce heather (dark green) and fossil heather (gray). For the $200+ price tag, the Nau men’s 850-fill down hoody competes with plenty of quality down coats like Montbell’s Alpine Light Down Parka or Patagonia’s Down Sweater Full-Zip Hoody. However, these other down options are 800-fill instead of 850-fill and appear more puffy than fitted. They too, have their own version of the DWR water repellent and respond similarly to rain. Unfortunately, their color options, like a lot of high-tech apparel, is limited to extremely bright or black. Nau’s versatile jacket’s chief virtue is that it bridges a gap between urban and outdoor wear that most companies haven’t thought to address. If you want a stylish down jacket that’s warm, dry and fits nicely, Nau’s men’s 850-fill down hoody is your coat. If a less sporty look isn’t your concern or you’re gearing up for a serious excursion and want the best in wind- and waterproofing, you might be better served with traditional high-tech apparel. Hello, I was just wondering as to how you would classify this jacket’s fit. Does it run small or large. Did you buy it according to your normal size or get a smaller/larger size. Also, would it be possible to get the actual measurements of the jacket size you bought (specifically for armpit to armpit) Thanks for any insight/info you can give share with respect to size.